We created the Free Two Roam travel blog nearly two years ago, to share our passion for travelling with other like minded travellers. Since then we’ve come across many fellow travel bloggers and we’ve learnt many travel tips and tricks from them. They’ve opened our eyes to places and experiences we’d never have known about otherwise. But besides that, we’ve discovered that sharing our travel experiences with others helps us keep our memories of those journeys alive. Frankly starting a travel blog is one of the best things we’ve ever done. So we’d like to show you how you can start your own one if you’re feeling inspired. There’s a few tips and tricks but it’s really not that hard. It’s easy to get excited about starting your travel blog only to be confronted with the cold hard truth – it’s a fair bit of work and it takes some persistence. The biggest thing to realise is that on the Internet content is king. It’s been said many times before but it’s worth repeating. If you want to stand out then you’ll need to create content that others are interested in and it needs to be of a consistently high quality. But “high quality” is perhaps too vague a term. Really what I mean is that in some way your blog needs to stand out from the thousands of other travel blogs on the web. Maybe your writing is witty, maybe you take great landscape photos, or maybe you’re good at discovering cool little bars in the cities you visit. What matters is that you know what your niche is and that you focus on nailing it, over everything else. That’s been the hardest thing for us to come to grips with and we’re still working on it. The good news is that there are a million different ways to stand out with your writing, and many different niches you can choose, even just within the travel industry. This is one of the most challenging parts of starting a blog. Firstly, finding a good name for your blog is not easy (most of us are not marketing geniuses), and secondly finding a matching domain name that is not already taken is always a challenge. While we don’t claim to be naming experts, there are two things you should focus on when brainstorming your name – make it short and snappy, and make it memorable. It’s probably best to keep your name to two or three words maximum; people have difficulty remembering names longer than that. Try and include an alliteration in your blog’s name. You have alliteration when the words in your name each have the same first consonant sound. For example, the popular travel blog World of Wanderlust has alliteration in it (even with the intermediate prepositions). Another great example is the popular London tourist attraction, Big Ben. Names and titles with alliteration in the are much more memorable. While we didn’t manage to fit alliteration into our own name, we did keep it short and sweet with just three monosyllabic words. We also made our name sound aspirational matching the key theme of our blog which is about getting out and experiencing the different parts of the world. Once you’ve chosen your name you’ll need to see whether the domain name is available for it. A useful tool that I often use to check for domain name availability is Instant Domain Search. It lets you rapidly try different combinations of domain names to see which ones are available for purchase. Hmm, looks like this one might be out of our price range! There are many different blogging platforms to choose from, but to be honest you really can’t go wrong by choosing WordPress. That’s what we’ve done and it’s been fine. It may not have the slickest user interface but it’s relatively easy to use, and most importantly there is a huge ecosystem of themes and plugins built around it. That ecosystem makes it easier to tailor your blog to exactly how you want it to look. There are also a huge number of developers who are familiar with WordPress. So even if you’re not technical yourself, you won’t have a problem finding a freelancer who can assist you with installing or customising your WordPress blog. WordPress isn’t pretty but it gets the job done! The visual design of your blog can make a huge initial impact on how your visitors view you and your brand. So it’s worth paying some attention to it up front. The beauty of the WordPress ecosystem is that there are hundreds (if not thousands) of themes available to choose from. Some are free and some cost money. Like most things in life, you get what you pay for. If you use a free theme you probably won’t be able to customise it as much as a paid theme, and you’re unlikely to get much support out of the developer. Fortunately, most paid themes are not too expensive and you usually will get a few months of initial support from the developer included in the price. One popular marketplace for paid themes is ThemeForest. That’s where we purchased the theme for Free Two Roam. Lots of great themes to choose from on ThemeForest! As I mentioned earlier, on the web content is king. So while your site should be visually appealing, it shouldn’t be at the expense of readability. So don’t choose a theme that adds too much bling. Generally, a simple, minimalist theme will work much better across the different types of devices that your readers will be using. Once you’ve chosen your blogging platform, the next step is to find a hosting provider that will serve up your blog. Many of these providers will have good support for installing WordPress for inexperienced users. Bluehost is a well-regarded web hosting provider. It provides several different levels of hosting and offers a one-click installation process for setting up WordPress on your site. There are typically three types of hosting solutions available to you. When you’re starting out and your blog doesn’t have much traffic all you need is basic shared hosting. With this type of hosting your blogging software (e.g. WordPress) lives on the same computer as a bunch of other peoples’ websites. You each get a bit of the computer’s processing time for serving up your web pages. As your blog becomes more popular you will notice that your site will become slower. You may even find that occasionally pages won’t load or for uploading images to WordPress will sometimes fail. Your share of the computer hosting your blog is not enough to handle the increased number of visitors to your site. This means that it’s probably time to move to a Virtual Private Server (VPS) solution. This is similar to shared hosting but you get a bigger share of the underlying computer hosting your site. You don’t really need to worry about the technical details. Just appreciate that with this kind of setup your blog will handle considerably more traffic and should perform more consistently. You will have more headroom to grow your traffic. You’ll have to grow your traffic significantly to outgrow a VPS hosting solution. If you do, the next step is to get yourself a dedicated server that you completely control. Not many sites reach this level of traffic so it’s not something you need to worry about for now. 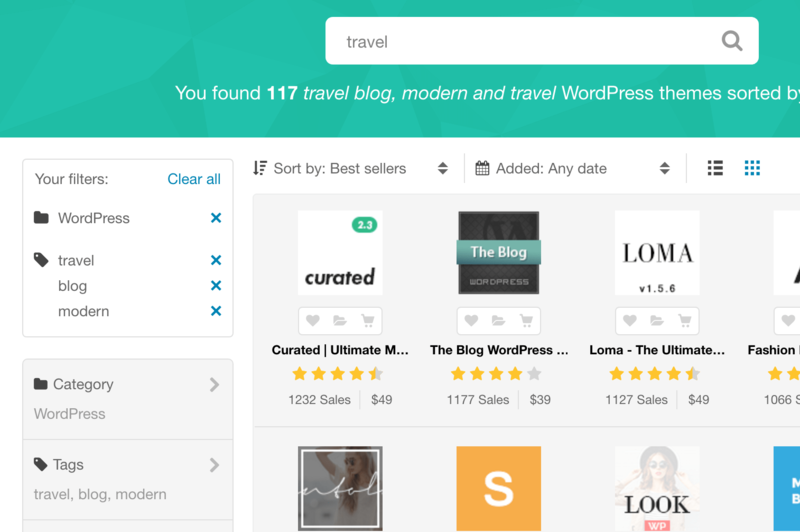 Assuming that you’ve chosen WordPress as your blogging platform (and we really suggest you do), there are a few essential plugins you should add to your site on top of what WordPress provides out of the box. Even if you choose a different blogging platform, make sure that your chosen platform offers the functionality that these plugins provide. Cloudflare helps your site handle more traffic by taking some of the load off your hosting server. Its global network maintains a local copy of your site’s media files and serves them up from servers that are closest to your visitors. This makes your site appear to load a lot faster. The Cloudflare plugin serves your media up faster! In a similar vein, the W3 Total Cache plugin will also give your site a speed boost. 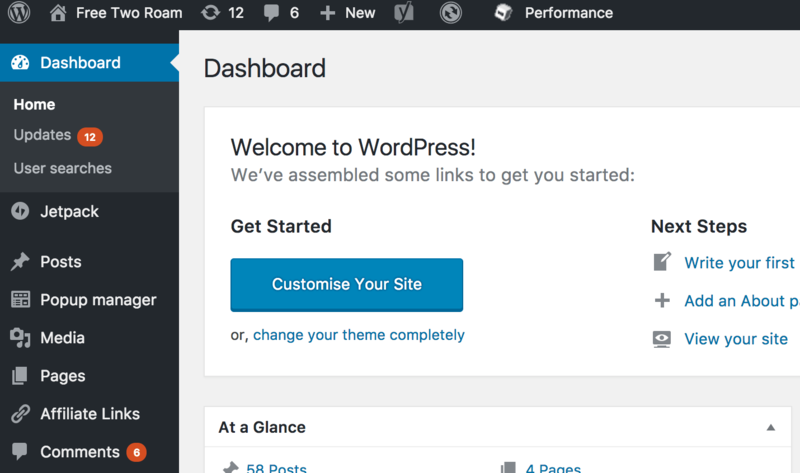 By default every time WordPress serves up one of your articles to a visitor it will build it from scratch. That wastes time, slowing down your site as your visitor count grows. That’s where W3 Total Cache comes in. The first time someone visits an article W3 Total Cache will make a copy of the page that is generated and unless you alter your article it will serve up that copy to all future visitors. The W3 Total Cache plugin serves you pages up faster! It’s important to be able to track how your blog is performing. You’ll want to know a few key metrics. The first is how many unique visitors you are getting each month. As you write more content and your blog becomes more popular you should see this value steadily grown. The second metric is the average visit duration. If people only stay on your blog for a short time, it means they are being enticed by your articles’ titles but aren’t finding the content inside interesting enough. The last metric is the bounce rate. This tells you how many people visited your site but only read the page that they first landed on. You’ll want to try and find ways to lower your bounce rate and keep your visitors on your blog for longer. There are various tools that help you analyse these metrics but Google Analytics is free to setup and it’s more than enough to get you started. You simply sign up for a Google Analytics account, install the WordPress plugin and enter your unique account ID in the settings. Google Analytics will then begin to gather these metrics for you and let you see how they change over time. Google Analytics will also help you understand how visitors are finding your blog. For example, one day we noticed a large spike in our monthly visitors. Google Analytics showed us that the Discover Tasmania website had linked to our article on Cradle Mountain which was sending lots of new readers our way. Search Engine Optimisation (SEO) is one of those things that most people don’t have any real desire to understand in any great depth or to spend a lot of time on. Unfortunately, it’s pretty important to cover it off, because search engines (in particular Google) are still an important source of traffic for your blog. 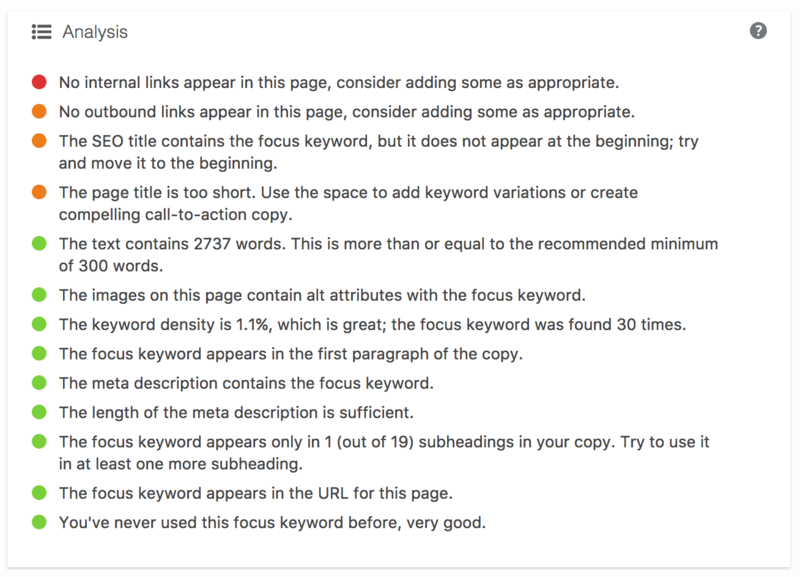 We use the Yoast SEO WordPress plugin to understand how our articles rate in terms of SEO. It gives you actionable insights into your article title and content that will help your rankings in search engines. SEO needs a whole article for itself and we certainly don’t claim to be experts, but installing and listening to the Yoast plugin will get you off to a great start. As your blog starts to get discovered you’ll quickly come across the only annoying part of getting attention – spam. As you start to get more traffic you’ll slowly start to get people leave spam comments on your posts. One of the easiest ways to deal with this if you’re using WordPress is to require that any comment with a hyperlink in it is flagged for moderation. That means that it won’t appear on the post until you review and approve it. This little checkbox is a life saver! Because the goal of almost all spammers is to get clickable links to other sites onto your article, this setting will pretty much stop them in their tracks. You should, however, try to review moderated comments quickly as it’s alway possible that someone is actually posting a useful comment with a useful link! The next step up from this simple trick is to install a proper spam filter. For this, you can use the free version of the popular Akismet Antispam service. Akismet is made by the creators of WordPress. If you sign up for the free version of Akismet and install the accompanying WordPress plugin, it will automatically detect and remove spam comments. Akismet fights spammers for you behind the scenes! Since we enabled the Akismet plugin it has saved us several hours of reviewing spam comments. That’s several hours to focus on our next holiday destination! Once your blog is setup, the next step is to attract people to it. As I alluded to earlier, the best way to gain new readers is with regular unique and exciting content. So get into the habit of publishing at least one article a week if you can manage it. When you first start writing it will feel rather awkward unless you’re a natural born writer. Most of us aren’t, so be prepared to slog it out for a bit before you find your own voice. One way to counter this is to avoid editing as you go. Write a rough draft of your post quickly and then go back over it several times. Religiously revise the phrasing until you’re satisfied. Leave adding any images and hyperlinks until just before publishing to avoid getting bogged down with perfectionism early on and losing motivation. If you’re struggling for inspiration or lost for words, you won’t find them sitting in front of the computer. The best cure for writer’s block is to get out of the house and change your context while your subconscious mind grinds away in the background figuring things out. If you’re writing while travelling, you hopefully don’t need any incentive to get out and about! If you’re stuck indoors, escape virtually by checking out other travel blogs for inspiration. Other good sources of ideas are travel magazines or other forms of media such as Youtube videos. Once someone makes it to your site you’ll want to keep them on there as long as possible. The longer they spend on your site, the more they will be exposed to you and your unique brand, so aim to write articles that are at least fifteen hundred to two thousand words long. A great way to advertise your articles is through social media sites such as Facebook, Twitter, Instagram, Bloglovin and Pinterest. It’s best to sign up to them early on because it takes time to build up followers. After a while though you’ll start to get some traction and that will lead to more inbound traffic to your blog. We’ve found that Pinterest is a great way to drive traffic to our blog. A great way to advertise your posts is to pin photos of the places you’ve visited on your Pinterest boards. Fellow travel blogger Hawaiian Brian has a great article on how to master using Pinterest to drive traffic to your blog. We highly recommend reading it. Be sure to advertise your social media accounts on your website in case visitors find your blog through a different channel. An email newsletter is a great way to reach your most dedicated readers. If someone signs up to your newsletter it means they’re a big enough fan to give you their email address. As your list grows you’ll gain valuable insights into your subscribers. You’ll notice the links they click on, or even if they open the email at all. You’ll gradually begin to understand what your most loyal fans like about your content and where there’s room for improvement. We’ll discuss building a newsletter in a separate article. For now, I’ll just mention that we use MailChimp to send our newsletter. We also use the MailChimp For WordPress plugin to integrate our sign-up form with our MailChimp account. It takes a while to build up an email list (we’re currently gradually building up ours). So set yours up as soon as you launch your website. Hopefully, this article inspires you to build your travel blog. We’ve found building Free Two Roam a really rewarding and enlightening process. It’s a lot of work and it’s frustrating when your visitor count temporarily plateaus, but persistence does pay off. To learn more about creating your travel blog we highly recommend you take Nomadic Matt’s Business of Travel Blogging course. It’s an in depth course that covers off all the different aspects of becoming a travel blogger, from writing great content to detailed guides on how to set up WordPress. We took it and it helped us a great deal. If you view travel blogging as a long term play, you’ll be more likely to keep at it. With time you’ll build something of substance that you can be proud of. You’ll also have the added benefit of recording your best travel memories and discovering other travelholics! Fantastic article! I wish this article was around a year ago when I started. Nice post! I’m still slowly growing my site but think i’m on the right steps so far! It’s good to hear. It does take time but persistence pays off. Good luck with it. This is such an informative post. All that a new blogger needs to get off the block. Hope we had got this kind of information when we started about 18 months back. We learnt by trial and error. But getting everything in one place is such a help. I enjoy reading your travel blog. Thanks you so much Marcella!